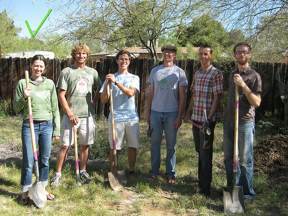 Gardens and Water Reharvesting program using healthy body mechanics for digging and building, building greener community and stopping need for Workmans Compensation claims and lost productivity from bad bending, lifting, reaching, etc. Reduce the high rate of strain-related injuries in workers through programs teaching functional lifting and healthy movement. Developmentally disabled adults learn healthy lifting, bending, reaching (and all healthy movement) techniques to train useful work skills and prevent injuries. Job skills include snow removal, landscaping, housekeeping, and other - all with healthy movement to prevent injury and work loss. We hope this program will become a model for programs all over the world like it. See great stories and results of this work on the Fitness Lifestyle page. News article featuring this work - Cumberland Times News. Wheel chair and Special Olympics participants - another program in development to provide healthy movement and training skills. Contact Dr. Bookspan to add your talents. Ms. Santamaria was awarded the Governor's Leadership in Aging Award for Health & Vitality. 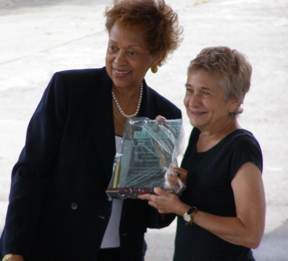 Secretary Gloria Lawlah of Maryland Department of Aging presented the award, pictured at right. Ms. Santamaria's Academy work was cited on the list of merit for selection for this award. - Illya Kuryakin (David McCallum), The Man From U.N.C.L.E. Thank you Appalachian Crossroads Mail Room Role Models! See more of their great work on my Fitness as a Lifestyle page. "Enlightenment Requires a Sense of Humor"
Mr. Jenkins won the contest to name Backman! (tm) who illustrates my concepts in my books, projects, and articles. More about this on the Academy page. 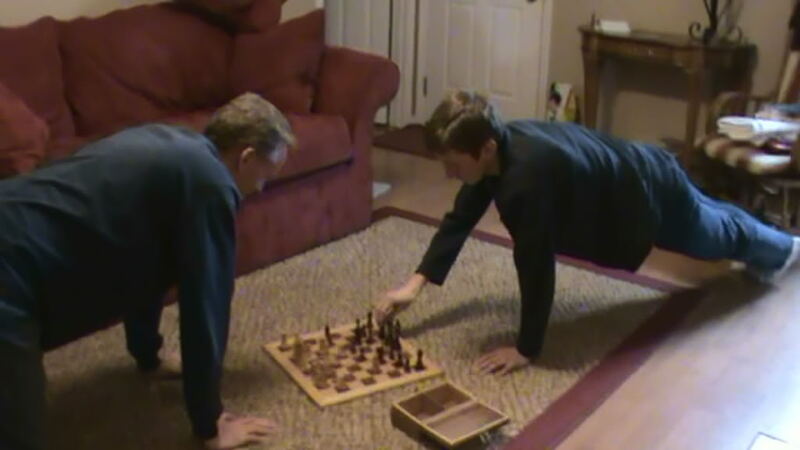 In the photo below, he and his son play Plank Chess - Each player holds a plank during their turn. I have two programs so far: The first is for understanding fundamental mathematics concepts as related to fitness and health, and a second program to use simple math to teach English (and any other language) through fun exercise movements. Life without basic math fitness is as detrimental as illiteracy - weak against scams, marketing, polls, price gouging, cons, election fixing, "woo-woo" pseudo-science claims. Accidental unrelated co-occuring events are common. When numbers of events are large enough, outrageous things are more likely to happen together through genuine randomness, leading many people to see relations and causes where there are none. We make needed basic math skills clear and fun for healthier life: spotting biased health studies, polls, and product claims, identifying misuse of statistics to sell junk food and bad medicines marketed as health, and more. You can contribute your skills to my planned web page of helpful articles - Functional Fun Functions - that make the basics clear and fun for everyone at any age. Come and be part. You can help build these projects for schools of these same necessary simple basics, making them fun and accessible. Come be part of this and other good ideas to build programs to put fun and life function back in math functions. Ms. Annie Fetter, a math teacher, used my work to recover from grievous back injury. She continued as my regular student, and now, adding her talents to this Academy Program to Teach old Dogmas New Math. Your short articles needed. Choose one topic (at a time) and write a fun short simple instructional so that those most at risk will be able to understand and use your info. 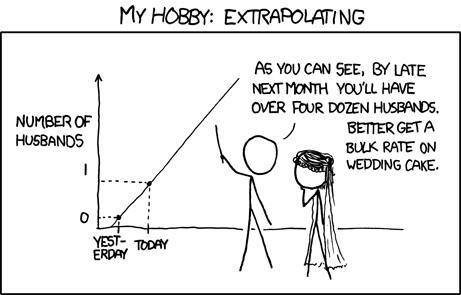 Statistics is supposed to be used to draw informed conclusions from large amounts of data, but can be subverted to be the opposite. Examples: false positives, absolute and relative risk, "cherry picking" data and statistics (and selective distortion) which is pulling an item out of context to build a misleading case, conclusions with parameters not actually studied, misusing correlation as cause, studying several variables but using conclusions about the one you want, using mean for mode to mislead about life expectancy - dozens of possibilities. 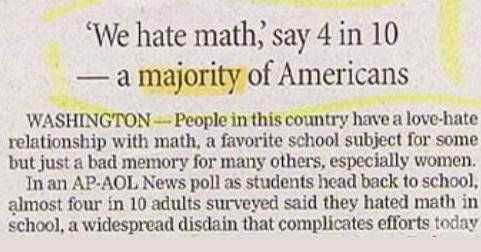 "Statistics dont lie, but the people who use them often do." Articles will go on a dedicated page for this Math Health project on this web site. Your already-written blog posts or articles welcome, with link-back to help you. See some length and format examples on our Fixa U School of Healthy Medicine Department of Silly Syndromes page. 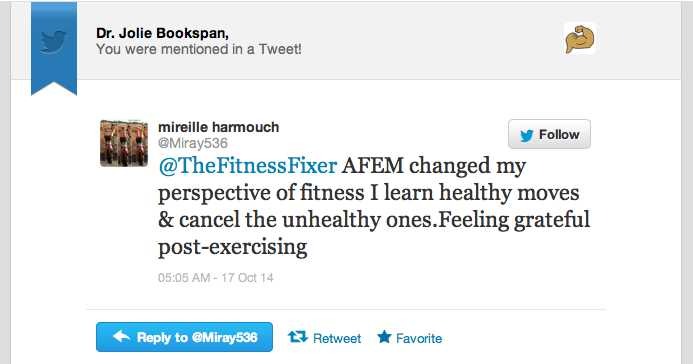 or on Twitter: @TheFitnessFixer (www.Twitter.com/TheFitnessFixer) and @MFAnnie. Teaching Math As a Fitness Language. My second set of Math Programs is Teaching Math As a Fitness Language. It works in conjunction with my language programs that teach English (and other languages) through fun exercise classes (Teaching English as a Fitness Language) described below in More Projects. Teaching Math As a Fitness Language teaches individuals and groups simple number fun in movement programs of brain and body. Healthy movement skills are used to make the abstract ideas of number, quantity, and space into clear concrete movement activities. 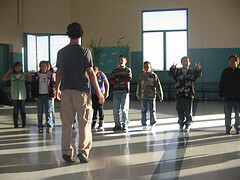 Even the youngest children enjoy following directions to hop walk squat jump and more in specific numbers of steps, operations of adding and subtracting a number and repeating the skill (for example, "hop 8 - 2 hops forward"), learn simple fractions by jumping a quarter turn, half turn, jump a whole turn around, and dozens of other specific needed number skills. Can be developed into smoothly progressing activity times, with or without music. Concepts grow with level of participants - angles, tangents... (imagine - at advanced levels, a Maths Olympics with participants having to run real equations to show the curve, cooperation among participants to make matrices and vectors...). As above, send your program ideas, including good names that are friendly to people who pronounce it Math or Maths. Three statisticians go deer hunting. They creep through the brush and find a good place to hide. 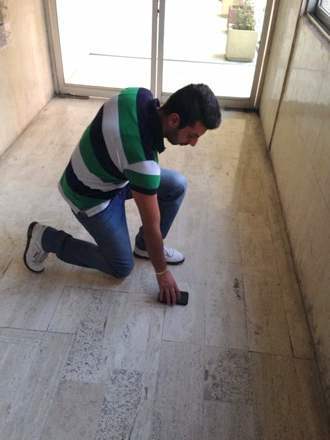 Soon, a big buck walks up  the first statistician hops up and shoots! Misses 10 feet to the right. The second statistician hops up and shoots, missing 10 feet to the left! Are you my next Director of Youth Programs, Communications Liaison, Director of Electronic Media Learning, or Healthy Aging? Youth Director oversees and initiates nationwide programs training lifelong health, starting with Bookspan Basics - group training drills, Fitness as a Lifestyle, and Emotional Fitness for schools, camps, leagues, and other healthy group structure. Communications Director liaisons with press and distribution avenues to increase awareness and fun for all. Director of Electronic Learning writes and makes cool fun internet and cloud based apps, DVDs, learning channels, more. Director of Healthy Aging takes my Functional Fitness as a LIfestyle skills and others, to elder centers, residents and staff of convalescent and retirement homes, and individuals. Teaching Language through fun and healthy exercise classes - TEFL with Dr. Bookspan - Learning languages in fun movement programs of brain and body. Healthy movement skills are used to teach and learn core language vocabulary and usage of direction, anatomy, comparatives, more, in a fun exercise class using music local to the speakers and World pop. I have developed Teaching English as a Fitness Language (tm), PLUS you can teach your other native languages in Teaching Everyone as a Fitness Language (tm). Same concepts, same healthy exercise, different languages learned in each. The Red Rock Society for Peace. Some Native American tribes long ago voted whether to go to war or not. The women, who stood to lose their men and resources, could cast a red stone against it. I propose we all stand up to be heard and cast our Red Rock. Organize! Flash Mob Healthy Alternatives. Use my work of healthy movement in my exciting program of #FlashFitness for healthy alternatives for your Flash Mobs. Prizes for healthy creativity. Functional Freerunning (Parcour) (tm) with Dr. Bookspan - Running all over to prepared and spontaneous stations of picking up litter, helping in gardens, good deeds, etc. Programs again Human Trafficking and other atrocities. Film short structured clips of yourself doing simple sincere makeovers like a traveling knight. Examples: Retrain healthy movement and integrate strength health and weight control into people's daily work and home lives, school programs, teaching digging mechanics at community gardens, municipal water reclamation projects, for day laborers, office workers, and others. Heal the world one makeover at a time through good work like the Lone Ranger, Jamie Oliver's Food Revolution, The Dog Whisperer, The Nanny, Weed Dating (social networking through group gardening events) and Pay it Forward wrapped up in one. Intelligent caring real life is more fitness than yelling while heavy people trudge with bad mechanics on treadmills. Networks - are you interested in making this your next hit show? My trademarked work is right here. We are working to develop the Academy as a non-profit charity with a fun healthy location for you to come fix pain, learn healthy life techniques to bring to your community, and more. "The World Knows Nothing of Its Greatest People"
I have done these all with zero budget. Come join in this great work. Contact me on the Projects page. "Many are called, but few get up"
Practitioners - Selected by AFEM for Implementing Our Healthy Work. To Join, See How To Be Involved. Dr. Clara Hsu, M.D. Board-certified in family medicine as well as hospice and palliative medicine. Santa Monica CA. David Demets. Yoga teacher, Belgium. www.hierennu.be. Developed and teaches an improved new yoga system. He presented it at a world yoga congress. His system corrects for the widespread pain syndromes from flexion overuse, and reduces the cause instead of adhering to set ritual pose sequences. Jim Morris, Mr. America. Venice, CA. Mr. Universe 1977. Physical Fitness Hall Of Fame with Bill Pearl, Jack Lalanne 1978. Mr. Olympia Masters 1996. More on his site www.gymmorris.com. He encourages responsibility, lifelong fitness, and my Ab Revolution retraining technique. A bit more about his work on the Nutrition page. Paul Plevakas. Third degree Black Belt Shotokan Karate Sensei, Philadelphia. www.PaulPlevakas.com. Teaches healthy martial arts. International Black Belt Hall of Fame Inductee. Featured on the cover of the textbook Healthy Martial Arts. and Ab Revolution, No More Crunches No More Back Pain. 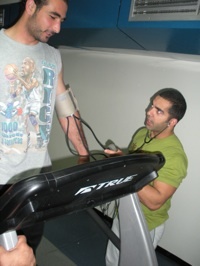 AFEM Personal Trainer. Runs the Academy's Martial Arts department. To take class, see the CLASS page. despite my BA license in sports and my long experience. I advise everyone to join the Academy. 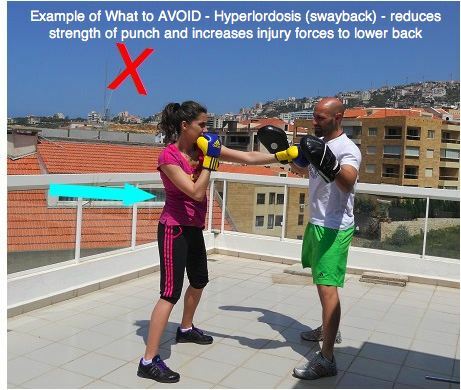 - Sandra Basbous, Fitness Supervisor, Panacea Health Club, Beirut Lebanon. The only authorized Academy certificates are by training in person with me (Dr. Bookspan). Distance learning, when done directly with me, is possible in select cases with limited and short-term certification status. Students completing courses are listed below. "What does the word '"master" mean in the title Headmaster? Mastery over oneself. To be a skilled practitioner. To have qualified at a high rank. The best use of that term is to be those things, and actively work not that it does not mean to master others." "Your students and patients will watch you for healthy ways to live and move; How you sit, bend, reach, lift, eat, and speak of others. Show them real health with all your actions. Rather than mandate specific chair angles for sitting, show how to sit in healthful ways no matter what you sit upon. Get people off their chairs (and other sitting devices) if you want to call the activity real exercise. Show how to control your own ankles, spine, knees, and neck position when standing and moving. No exercises or muscle strengthening will hold you properly--you do that--and that is exercise as a lifestyle. Remember that in much of the world, people lift and carry just to have food and water. It is not progress to do artificial motions indoors on a machine, to do "fitness activities" in unhealthful ways, or to exercise then return to unhealthful motions for daily life. Live beautifully. Do good in the world. Laugh. I am not a certification business. I am willing to share my work and teach you what I have spent years to develop. An Academy certificate from me shows that you have understood my work and how to apply it intelligently (not merely repeat), and demonstrated your own good work and understanding to me personally. To get accepted into a certification class, and during all your training, learn what real Functional Exercise is - not exercises, but how you move in real life all day every day. Click and read - Functional Fitness as a Lifestyle - on this web site by the Head of the Academy, Dr. Bookspan. The only authentic Academy certification is directly from me, Dr. Jolie Bookspan. If you study with someone else, they may offer you their own certificate, but it is not authorized certification, or through me, or Dr. Bookspan's Academy of Functional Exercise Medicine. Please note that Georges Nackle in Lebanon is not an Academy Instructor and never studied with me in person. When you apply for admission, show how you are already using Functional Movement in real life as your daily stretching, strengthening, and injury prevention and rehab. If you do not use healthful movement in your own life, how can you lead others to health? 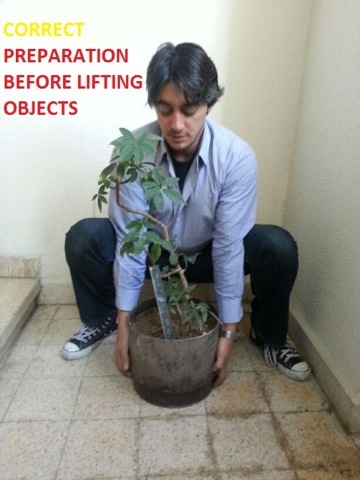 Examples of Community Functional Exercise and Fitness are bending right to dig gardens with healthy squat and lunge to feed communities and elders, healthy squatting to clean the floors, shovel snow, and pick up litter, lifting boxes of food to give to the poor, neutral spine when carrying things for people. Health care practitioners use healthy standing, sitting, bending and lifting mechanics with patients, leading musculoskeletal health by example. Examples of Personal Functional Exercise and Fitness include healthy bending (mechanically healthy squat and lunge) for reaching and stooping to clean your living spaces, pick up clothes laundry and children, sweep floors, and pick up things. Neutral spine for standing and running and overhead reaching. Examples of Functional Stretching occur during healthy squatting where you gain built-in Achilles tendon and lower back stretch, in addition to hip and leg strengthening. Using neutral spine for built-in lower back stretch and preventing shortening and compressing the lower back during standing, overhead lifting, and running. Built-in functional shoulder stretch occurs when using neutral spine during overhead reaching so that range of movement comes from the shoulder rather than leaning back from the lower spine. Examples of Functional Injury Rehab and Prevention for your discs and spine are good bending with healthy squat and lunge instead of bending over at the waist or hip to pick up any weights or objects. To fix and prevent pain and compressive injury to the lower spine, use neutral spine for standing, running, walking, and overhead lifting. For stopping shoulder impingement, keep neutral neck position and keep shoulders from rounding (or overly pulled back/ retracted) during arm movement. Functional knee pain fix and prevention is healthful knee position in all planes during bending, walking, and running. Many more examples to learn in classes. When you teach these movements in a training or gym setting, remember to lead by example and always use good mechanics yourself, and explain to students and clients that they need to apply the new healthy movement skills to whatever they do - all their actions for home, sports, and exercise. The movements are not to be mindless reps of squats or planks in a gym. That is missing the point and most of the benefits. If you do not use healthy functional movement in your own life - to lift, bend, reach, walk, carry, sit, prevent injury in healthful ways - how can you lead others? If you go back to unhealthful fitness exercises, and unhealthful fad foods and sham products, that is your choice, but your Academy certification is no longer in effect. See the Certified Student List below for photos that students before you have sent to show how they use healthy movement mechanics for daily functional fitness, fixing pain, and teaching. When you fix poor and unhealthful body mechanics, do not force or strain. Craning your neck to "hold straight posture" or pinching shoulders back is as uncomfortable and unhealthful as slouching. Make all your fixes healthful fixes. Fix your own pain. Fix sources of your own pain and injury before leading others. Be a role model of health. If you have back or knee pain, neck or shoulder or biomechanical problems, use the free articles by Dr. Bookspan on the Clinical page - http://drbookspan.com/clinical. Read and understand Bookspan Basics so you can see how to use healthy movement in group and individual fitness training. Read and understand, then use the Mental and Emotional Fitness Training. When you apply for Academy training for any class, include how you will use or are using what you learned on this page and how you will apply it to your future in leading functional health. See all the work of the Academy on page one - http://drbookspan.com/Academy - See how we work for health and all the many ways you can best add your talents. CPR certification required. First Aid training encouraged. No smoking by candidates or their own students. If you do not live a healthy life as your own real life, how will you be a role model to others. "You preach a better sermon with your life than your lips." 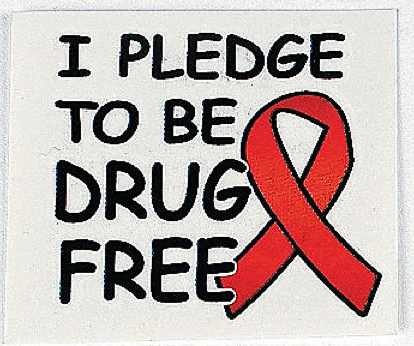 All students pledge to be drug free. No illegal drugs, such as street or recreational drugs. No illegal performance enhancing substances. Any students who use at any time during or after certification will be banned for life from the Academy. Your certification(s) will be permanently revoked. Your certificate expires one year from your completion date. Your knowledge needs exercise. Recertifying is free and shows that you use real health. To renew each of your certifications, contact me (Dr. Bookspan). There are several parts to showing your knowledge. Some of the parts include sending me photos of your using what we taught you to make a healthier world for people or communities, your success stories, and taking a multi-part re-assessmentwhere you will have the opportunity to learn important information from me and show it. You will show your work for your own health, your own students and patients and/or through a Project. Remember: Integrity, goodness, and honest healthy ways are your truest membership in the Academy. Your renewal will be listed with your name and class on this web page. I care about the progress and successes you will have with this education. Join me for more classes and projects. If you have studied with someone else, they may offer you their own certificate, but it is not Dr. Bookspan's Academy of Functional Exercise Medicine certification. That is why each student gets the opportunity to show me what they know and to learn more, with feedback directly from me (Dr. Bookspan). You are not required to purchase Academy Logo clothing to wear when instructing, but use your brain to dress professionally. Wear regular clothes, not expensive silly fitness clothing. If you cannot move well in real life clothing, how can you teach health as a real lifestyle? Send in your requests for other items to educate, inspire, and make life healthier and more fun at the same time. Check often for new designs. Fitness is not from a gym. Health comes from all your actions. of healthy movement, thought, and action. Always rise to this meaning. ALL certificates expire one year after class completion. Only students marked on this web site as renewed have done work qualifying them to continue as certified by this Academy. Students may ONLY renew directly through Dr. Bookspan, to verify quality of work, even if they took their certification with other instructors. Requirements above in section on Getting Certified. Personal Trainer - 21 September 2014 to 9 November 2014. 25 hrs. Expires 20 September 2015. 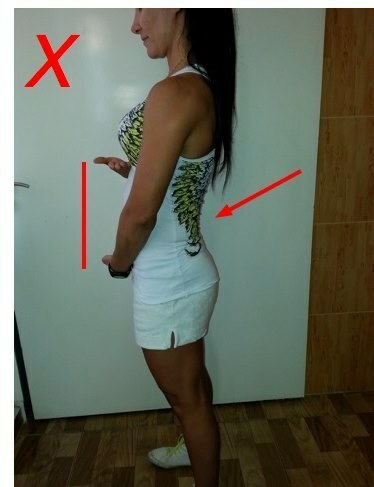 Mireille Harmouch demonstrates changing swayback spine (left photo) to neutral (right photo) while indicating general abdominal muscle length, which shortens to bring spine to neutral. No tightening is done, only shortening to move the spine. 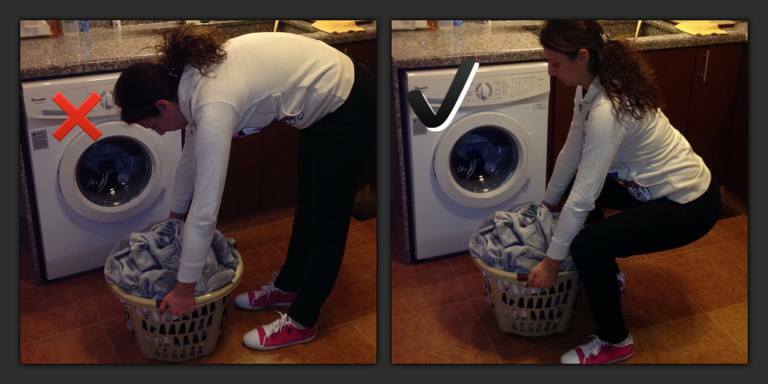 Mireille Harmouch sent the photos above of the results of her teaching good bending to one of her exercise students. Good bending is not only for doing squats in a gym, but for all the time, including getting your exercise equipment and putting it away. When you do this move and teach this to others, make sure you know to keep knees back a little further, with the lower leg more upright than shown on the right photo. Frankly i was hesitating about taking the course until i logged into your web site & read some of your articles. 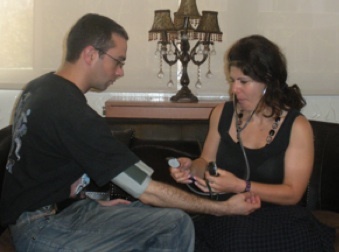 I consider your researches & your web site a blessing for all people wanting to live healthy. I practice weight lifting & i've been suffering myself from low back & hip pain without knowing it is caused by hyperlordosis. i used to need physiotherapy to adjust my hip and treat my sacro-iliac pain every time i did weight lifting. Now I apply your method to fix my body posture, i've cancelled the wrong exercises i was performing in gym and i'm trying to incorporate your functional healthy exercises & stretches into my fitness classes & daily life with my clients. i already feel the difference. i would like to thank you and i wish i can help more people to exercise in a healthy way through applying your methods. I already begin with my students." "I was looking forward to hold AFEM personal trainer certificate but now i know it's not about the certificate, it is more about the knowledge i had the chance to acquire through communicating with you. I look forward too, to work with you in the future if this is possible." "i really enjoyed this knowledge and started applying it in my lifestyle and helping others also to enjoy it with me. Thank you for your follow up and your feedback in every part. i felt like I'm home learning something not obligatory, the journey was fun and knowledgeable. i just want to share my opinion about the course that i really learned a lot of things and ideas that i have never thought about. Thank you very much for your time and honesty." Healthier Nutrition Workshop - 16 November 2014. 4.5 hrs. Expires 15 November 2015. 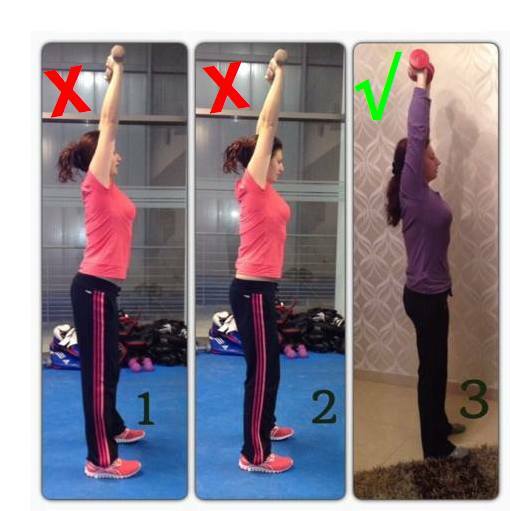 Jessica Lattouf demonstrates fixing swayback (hyperlordosis, shown in photo #1 and #2) to neutral spine (photo #3) during overhead lift. Photo #2 (middle) is included to demonstrate that the hip can be "tucked" to level, and belt-line level, but the upper body still overarched and tilted forward. 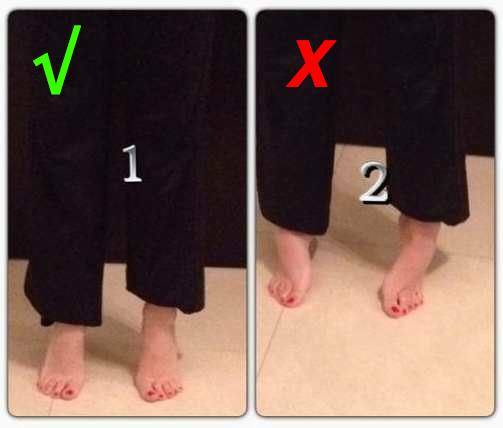 Jessica Lattouf demonstrates neutral ankle position (left photo #1) and unhealthy eversion (photo #2). Stable neutral ankle position during movement (left photo #1) is important to prevent ankle turns and sprains. It is also important to identify when toes of either or both feet shift toward the small toes (shown in both photos above). Shifting toes and bunion are sometimes (not always) a sign of tight shoes and / or bad gait, usually turning the feet outward during walking (duck foot) and / or letting body weight sag and flatten the arch of the foot. The large toes push sideways during walking. Check for these easy-to-fix problems when shifted toes are spotted. 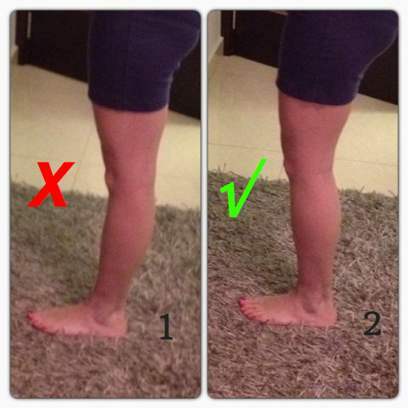 Jessica Lattouf demonstrates (1) slouching with hyperextended knee, and a more healthy neutral knee (2). Changing bad bending during real life activity to good bending with neutral spine gives functional squats built into daily life. Jessica Lattouf made this photo set for the Healthier Nutrition certification. 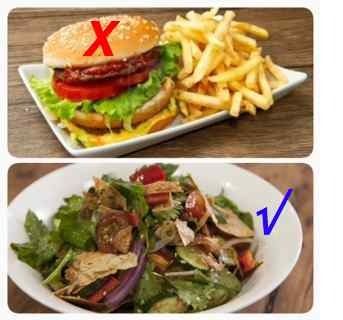 She writes, "First photo shows a bad food choice like commercial burger and fries (chips) while the lower photo shows a healthy easy and inexpensive recipe of salad which is popular in my country, we name it "fattouch"
In the Healthier Nutrition course, students learn that healthier nutrition includes how you choose, cook, and prepare food. 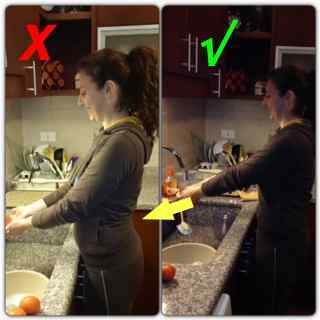 Jessica Lattouf demonstrates swayback (hyperlordosis) at the sink in the left photo, and stopping that painful common habit on the right. 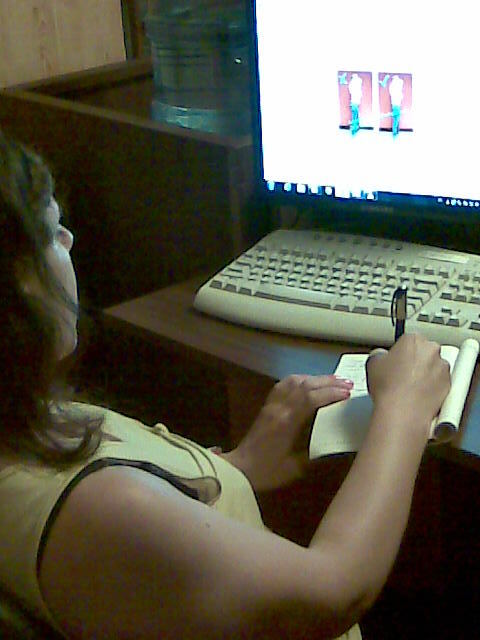 You can stand closer to your work with healthy and non-painful comfortable position. Jessica Lattouf demonstrates healthy bending is for all you do. Squats in the gym will do as much for you as all the comfortable good bending for real life. 1. Craning the neck and lifting the chin with a rounded upper back (upper left). At upper right: correcting to healthier position. 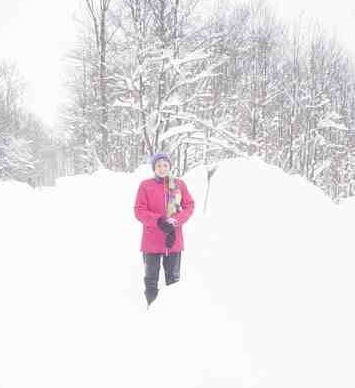 "I am a fitness instructor and a physical education teacher. I took many certifications in the fitness field and I had a good experience in training techniques, but I found your medical and training methods more interesting and healthy which convinced me and encouraged me to learn more how to make life and exercise more healthy. 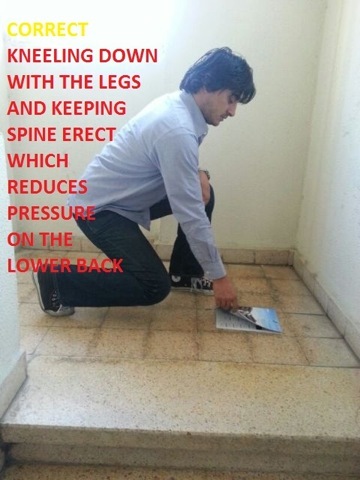 I used to do a lot of bad movement when working at home, and i was wondering about the reason of my back and knee pain until i learned from your works how to fix pain. 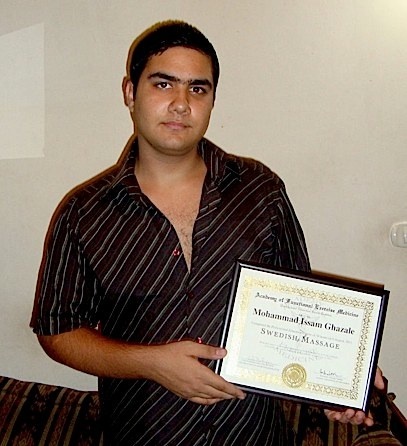 It is an honor to be a student in your academy." Swedish Massage - 22 September 2014 to 12 October 2014. 10 hrs. Expires 11 October 2015. Instructor: George Nakhlé. Certified by Georges Nahkle, not by Dr. Bookspan or Dr. Bookspan's academy. 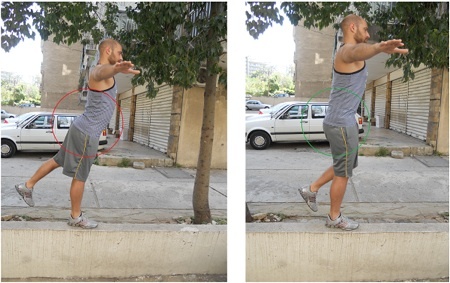 Raymond Gerges demonstrates poor standing (left photo) with swayback by leaning the upper body backwards. The upper back rounds too much. 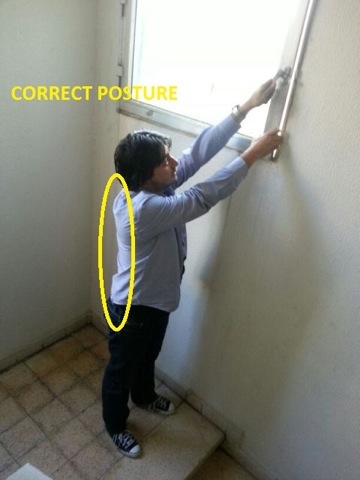 In the right-hand photo, he shows standing with less swayed spine (but not entirely neutral) for the same activity. 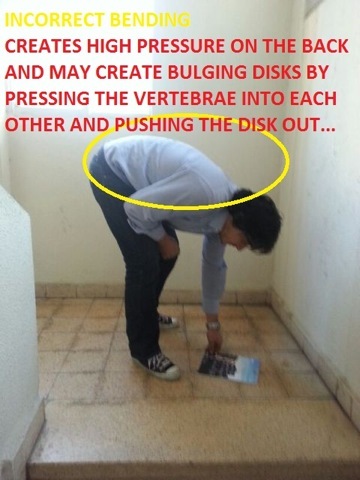 He explains, "When we stand we have to use our abdominal muscles (to move the spine, not tighten ) to stay straight and protect our lower back. If not, it allows hyperlordosis and more pressure on the lower back." 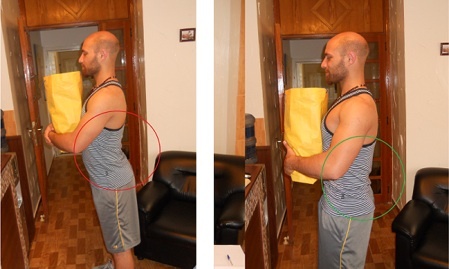 Raymond Gerges demonstrates bending over in the left photo, and a more upright body shown in the right photo. Thai Massage - Completed December 2012. 12 hours. Expires December 2013. Functional fitness practical work passed With Distinction. and correcting to neutral spine on right. Personal Trainer - Completed 6 Oct 2012. 25 hours. Expires 5 October 2013. Instructor: Certified by Georges Nahkle, not by Dr. Bookspan or Dr. Bookspan's academy. Final written test passed with note for attempts for continued learning. 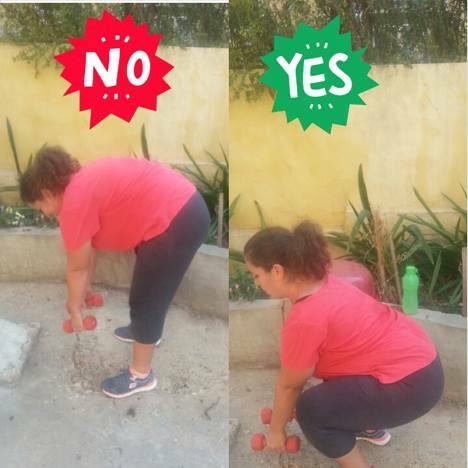 Tania demonstrates using full squat with heels down to get functional stretch of Achilles tendon and lower back during ordinary daily activities, knees positioned to prevent knee compression, and using squat instead of bending over for healthier discs. 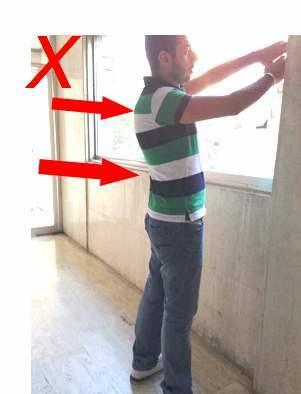 (hyperlordosis/ overarched lumbar spine) to more neutral spine (right photo). Swayback (hyperlordosis) is a common major cause of lower back pain during standing, walking, and running. Postural change to stop swayback is simple movement, not requiring exercises, treatments, or strengthening. the simple ways you developed to avoid the wrong movements and to fix our own pain. I am very glad and also thrilled to attend your course and I can't wait to put what I am learning into practice, for the benefit of others and mine." 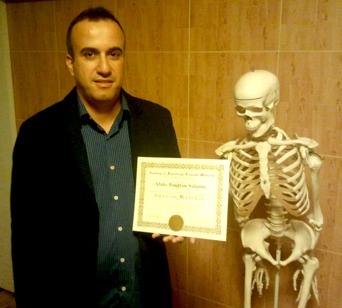 Sandy Zein - Final written test passed with distinction, October 2012. 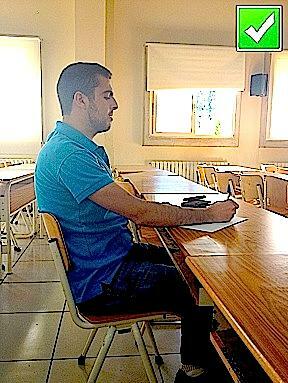 Chadi Zein -- Final practical test passed with distinction, October 2012. 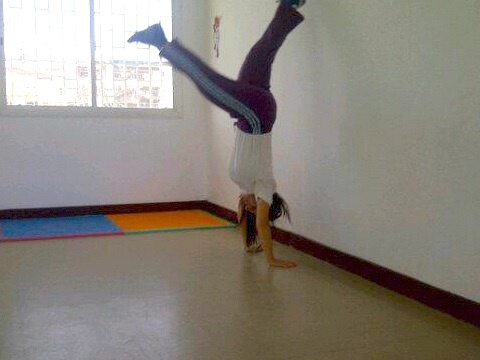 1- Balance Training 5 hrs. Completed 6 Oct 2012. Expires 5 October 2013. 2- Cardiovascular Training 5 hrs. Completed 12 Oct 2012. Expires 11 October 2013. 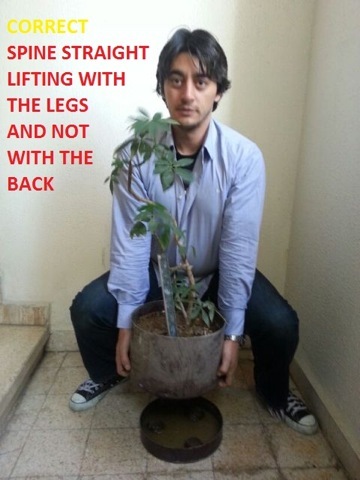 Chadi demonstrates simple improvement to sit in healthier way. all Academy students are asked to learn healthy ways for all they do and use it for real in their own life. in contrary i am building a stronger body in the right way. I am always in contact with Mr. Nakhlé and checking Dr. Bookspan's web site to stay up to date." Sandy demonstrates bad bending (left) and a partially-helpful fix (right). On the right, Sandy demonstrates what it looks like to strain and let knees slide forward, which can be unhealthy too. Instead, bend lower with ease with knees further back over feet. and when we do it right, it becomes more easy and we do it unconsciously every time we want to bend. That's how we reduce chance of getting an injury." Studied Several Courses. All expire 5 May, 2013. 1- Stretching Smarter 6 hrs. Completed 18 March 2012. Plus two additional practical hours. 2- Functional Weight Lifting 6 hrs - Completed 8 April 2012. Plus two additional practical hours. 5- Cardiovascular Training 3.5 hrs. Completed 29 April, 2012. Plus five additional practical hours. 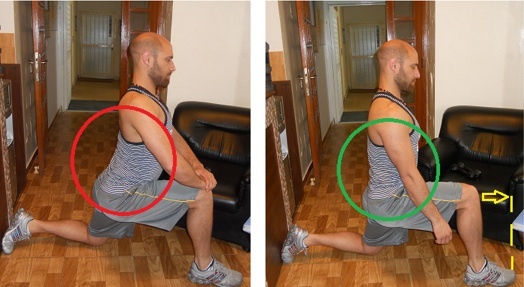 to neutral spine (green circled on right) for lifting rear leg while balancing, and carrying anterior loads (above) and lunging for learning good bending and anterior hip and leg stretch (below left). He demonstrates unhealthful practice to avoid in photo below right. 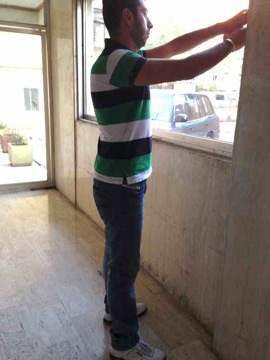 I'm so lucky because I met you through Mr. Nakhle. I'm making training more functional." Marwa Philippe El Hage, who also holds the Bachelor degree in physical and sports education. Swedish Massage. Completed 27 April 2012. 20 hours. Expires 26 April, 2013. Instructor: George Nakhlé. Certified by George Nahkle, not by Dr. Bookspan or Dr. Bookspan's academy. NOTE: "Swedish Massage" is not a recognized Academy course. Six courses with Instructor: George Nakhlé. Certified by George Nahkle, not by Dr. Bookspan or Dr. Bookspan's academy. All expire 26 November 2012. "Interesting & useful courses. I have learned many new techniques, which i used to do incorrectly. 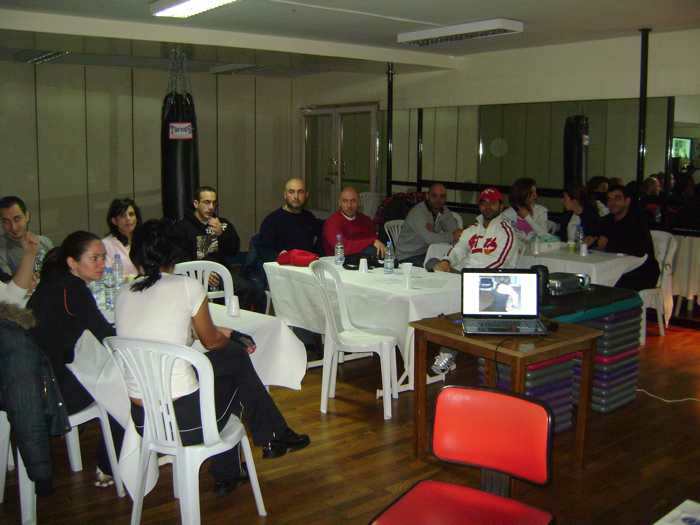 What I learned made me more professional and distinguished among other trainers." Swedish Massage 20 hours. Completed October 30, 2011. Expires 29 October, 2012. Personal Trainer. Completed August 13, 2011. 30 hours. Expires 12 August, 2012.
on Dr. Bookspan's Honor Roll for e-mail dialog about her understanding and application of this work. Swedish Massage. Completed August 6, 2011. 30 hours. Expires 5 August, 2012. 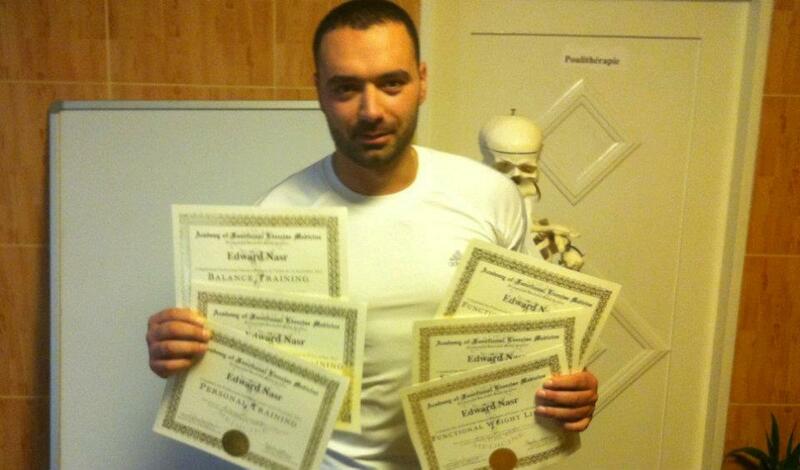 Three massage courses with Instructor: George Nakhlé. Certified by George Nahkle, not by Dr. Bookspan or Dr. Bookspan's academy. Completed September 1, 2010. Expires 31 August, 2011. 3 -Ashiatsu Massage 20 hours. NOTE: Ashiatsu is not a recognized Academy course. 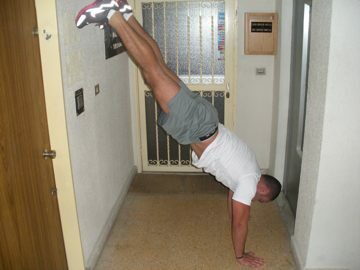 Fitness Instructor. Completed Aug 8, 2010. Completed July 24, 2010. Expires 23 July, 2011. 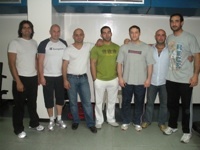 Instructor: George Nakhlé. The following are Certified by George Nahkle, not by Dr. Bookspan or Dr. Bookspan's academy. 5- Chady Yammine - "Fitness Trainer"
Students: Remember that health screenings are required before all personal and fitness training sessions, and periodically throughout patient contact. 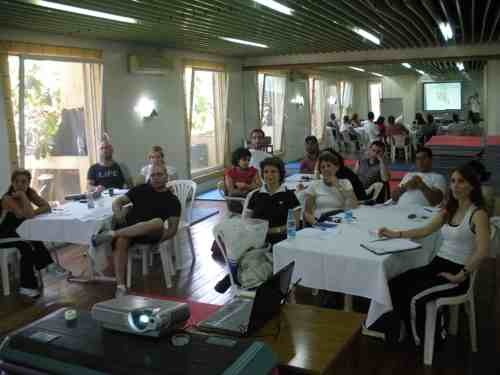 "This was an important course, I learned many new things especially how to avoid bad exercises. I loved it and don't regret taking it." Thai Massage, Completed May 22, 2010. 30 hrs. Expires 21 May, 2011. 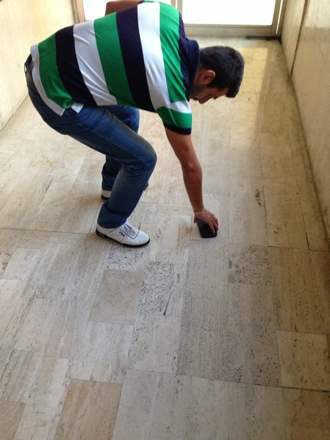 Elias Antoine Saliba - with distinction for understanding scientific issues easily, and Violette Badr Saliba. Balance Training 8 hrs. Completed April 25, 2010. Expires 24 April, 2011. 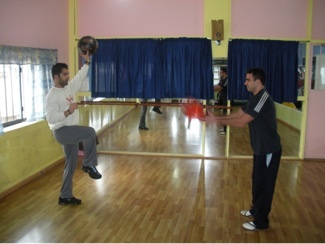 Instructor: George Nakhle. Certified by George Nahkle, not by Dr. Bookspan or Dr. Bookspan's academy. Stretching Smarter and Healthier 8 hrs. Completed April 18, 2010. Expires 17 April, 2011. Thai Massage 30 hrs, Foot and Leg Massage, 12 hrs. Completed March 15, 2010. Expires 14 March 2011. NOTE: "Foot and Leg Massage" is not a recognized Academy course. 10 hrs. Completed March 14, 2010. Expires 13 March 2011. The following are certified by George Nahkle only, not by Dr. Bookspan or Dr. Bookspan's academy. Instructor: George Nakhlé. 6 hrs. Completed Nov 14, 2009. Expires 13 November 2010. 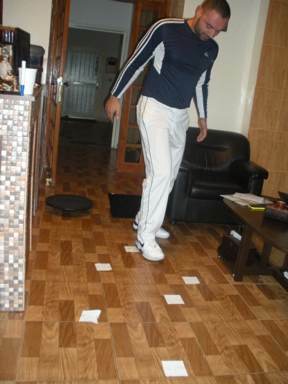 They learn to stand and move in healthier straighter position instead. Certification is CURRENT through Dr. Bookspan because of high level recertification efforts annually. Completed Oct 3, 2009. Temple University, Philadelphia. Congratulations Ms. Hsu, the only student to complete certification by course end. Ms. Hsu has continued intelligent and successful recertification work each year, and is currently certified through October 2015. Therapist LInda Hsu says: "It was a true pleasure and honor to experience Dr. Bookspan "live" and to see her embody everything she teaches and writes about. I have finally found a teacher who knows the "whys" of chronic pain, and is willing to take the time to explain and investigate causes and solutions. I am grateful that you have taken so much time and care to present such invaluable information in such an accessible way. Everything taught in this class was backed by research and science and can be immediately applied to activities of daily living - Brilliant! 25 hrs. Completed Oct 10, 2009. Expires 9 October, 2010. 5 - Pierre Josef Mardini - Distinguished himself as good student. 12 hrs. Completed May 30, 2009. Expires 29 May 2010. Lecturer: George Nakhlé. The following are certified by George Nahkle only, not by Dr. Bookspan or Dr. Bookspan's academy. "This course is very useful. 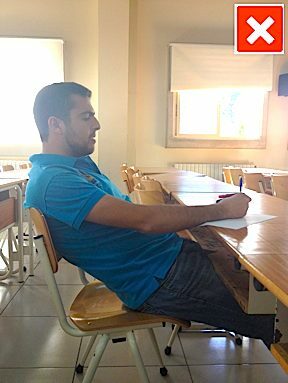 I changed many wrong knowledge learned at university! Congratulations Ms. Baez, the only student in these classes to complete both certifications by course end. 25 hours, March 28 to May 16, 2009. Expires 15 May 2010. Multiple Instructors. Swedish Massage is not a recognized Academy course. The following are certified by George Nahkle only, not by Dr. Bookspan or Dr. Bookspan's academy. 12 hours, February 28 and March 7, 2009. Expires March 2010. Lecturer: George Nakhlé. The following are certified by George Nahkle, not by Dr. Bookspan or Dr. Bookspan's academy. Add Your Good Ideas and Talents. Positions open for fun projects to advance your health and world health. Be prepared to have fun and use your brain. 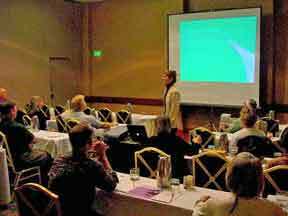 Take Workshops and Seminars. Class schedules are updated on the CLASS page. The Fitness Fixer. Fun, intelligent information to change the entire idea of exercising and health for the better - Fitness Fixer Index. Summary Reference Articles. Step-by-step instructions for fixing common injuries. Click the clinical page. Mental & Emotional Training - a page of Dr. Bookspan's short articles for stronger emotional health. Step-by-Step Success Stories how patients fixed their own pain, and restored happy, pain free lives using these methods. Patient Success Stories. Books. Academy and class text books. Awards. The International Academy gives annual awards to thank, recognize, and support those who help the world. Awards are conferred for those deserving special recognition for work, humanitarianism, teaching, developing programs, writing, and other categories. It has been pointed out to us that awards each year will be called the Academy Awards :-) The design for the awards is by Alessandro Schiavone, Creative Director from Ravenna, Italy. Grazie Sig. Schiavone! Send in your success stories for future award consideration. e-mail: Success @ DrBookspan DOT com. Donate books or classes to underprivileged - Be a hero. Look Professional. Dress in Academy logo for professional teaching. 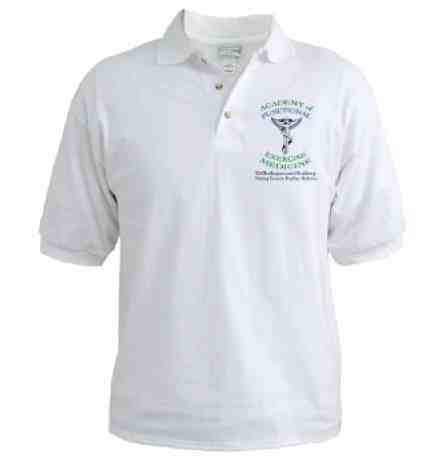 Get fun reminders for spine health with Academy Gifts.